The American Fine Arts Festival 2010-2011 Season featured a number of special events, including the AFAF Piano, Strings & Winds International Concerto Competition and a recital honoring the bicentennial of Frederic Chopin, the AFAF International Chopin Celebration Concert. In addition to the return of AFAF’s international vocal competition, Golden Voices of America, a parallel competition for string players, Golden Strings of America, made its debut during the 2010-2011 season. Our summer program, the AFAF Summer Music Courses in Europe, now in its fourth year, once again combined a week of music study with an opportunity for our students to explore Europe rich cultural history, which this year included tours of Russia, Germany, Austria, and Italy. Our regular festival program, which began with a Fall Gala Concert at the Weill Recital Hall at Carnegie Hall on October 23, 2010, continued with in-person auditions in New York, New Jersey, Massachusetts, California, Connecticut, Washington DC, and for the first time in the festival’s history, in Beijing, China. Our Winter Gala Concert took place on February 19, 2011, also at the Weill Recital Hall at Carnegie Hall. The Winners’ Concert Series took place in New York City during the months of May and June, while several other concerts took place in October/November 2011. On November 13, 2010, the AFAF celebrated the bicentennial of Frederic Chopin (1810-1849), the herald of the Romantic Age and perhaps the greatest composer for the piano with a special recital at Weill Recital Hall at Carnegie Hall. 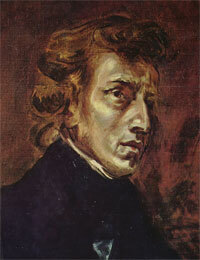 Auditions to the recital were open to to pianists of all nationalities and performances included Chopin’s works in various genres from miniatures such as Preludes and Mazurkas to the grandiose large-scale works such as Ballades and Sonatas.